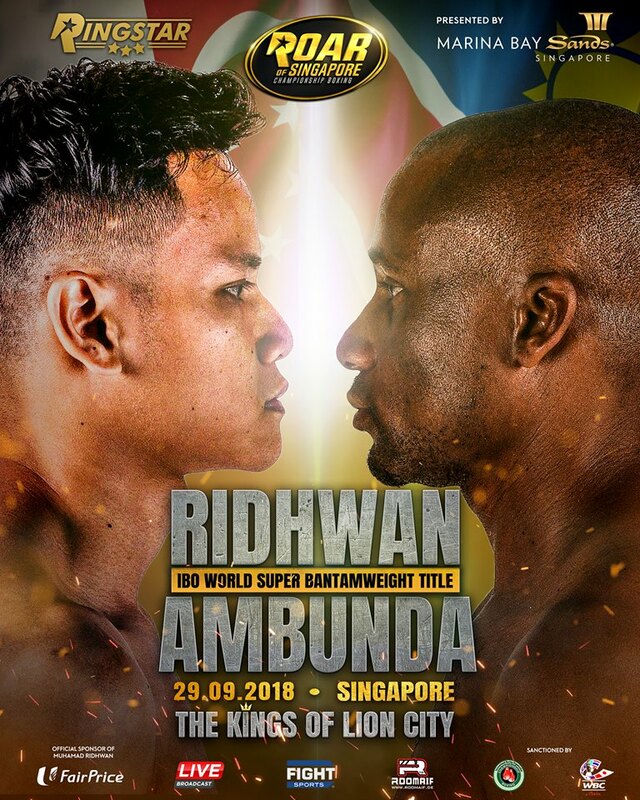 Reigning International Boxing Organization Intercontinental Featherweight Champion Muhamad “The Chosen Wan” Ridhwan, 30, of Singapore is putting his undefeated record yet again. He will face Paulus “The Rock” Ambunda, 38, of Namibia at “Roar of Singapore V: The Kings of Lion City” at Marina Bay Sands in Singapore on September 29, 2018. An exciting, intelligent and very tactical fighter, Ridhwan prepares very well for each and every fight. Retired British boxer Glenn McCrory, 53, a former International Boxing Federation Cruiserweight World Champion, believes that the undefeated Singaporean boxer can become a huge star like Filipino boxing legend Manny Pacquiao, 39. Ridhwan holds a professional boxing record of 11 wins and 0 loss. Ringstar Boxing founder and CEO Scott Farrell is also a fan of the undefeated Singapore boxer.